Invicta Voices & Invicta Voices will be performing at part of WOW 2017 on October 21st at Kings Place. 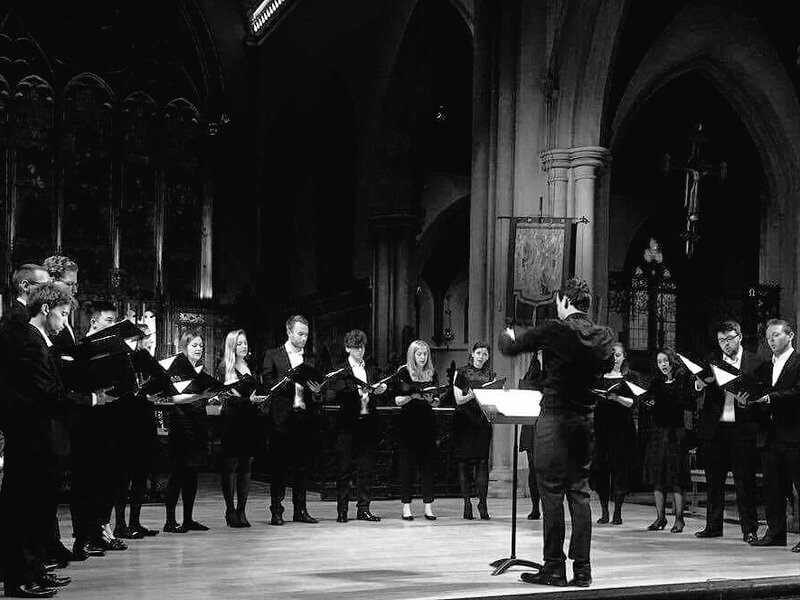 Invicta Voices is a London based a-capella choir formed in October 2014, originally from University of Kent alumni. The singers come from all walks of life, including; teachers, lawyers, consultants and film producers to name just a few. Although we have a diverse range of backgrounds, we are all united in our shared passion for music and choral singing. 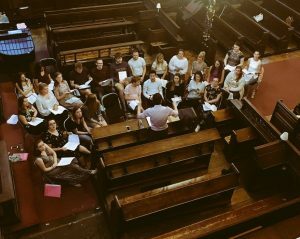 Meeting bi-weekly, the choir enjoys exploring a wide range of choral music from traditional pieces by composers such as Byrd and Hassler right the way through to contemporary choral pieces by Gjeilo, Patterson and Whitacre. Since the choir was formed, they have had some brilliant performance opportunities, with performances at the University of Kent’s 50th Anniversary Celebrations at the House of Lords, the Colyer-Fergusson Hall in Canterbury, and most recently in the Gresham Centre, home to VOCES8. The choir has also performed in Maidenhead and London. The 2016 programme includes concerts in April in London, May in Dartmouth and October in Germany. The choir has also had the pleasure of working alongside Paul Patterson on a number of musical works, which has been a valuable experience and has led to the addition of three fantastic pieces to the choir’s repertoire. We hope to continue working alongside Paul in the future. Invicta Upper Voices choir performed for the first time at WOW 2016 singing works by female choral composers from the 20th century, with complimentary pieces from their male counterparts.